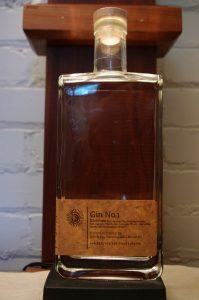 Notes: Gin No.1 by Detroit Distillery is made by a small craft distillery in Detroit in their public market next to an amazing hat shop. The distillery itself is quite modest and is attached to a lovely old school saloon type bar, appropriately dark and full of magical potions and spirits. 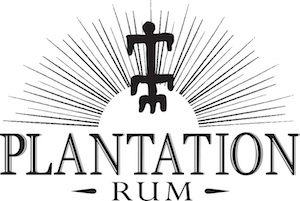 They also make several other gins with varying botanical formulas, a number of bourbons and ryes, and of course the inevitable ( unavoidable ?) 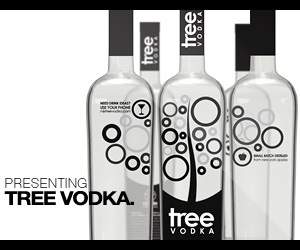 vodka, along with experimental spirits that come out every so often. Appearance: Clear and silvery in appearance, nicely oily body to it with a medium coating to the glass on swirling with tears forming on the edgeline. Taste: Lovely floral entry, almost perfume like ( in a good way) with anise starting to assert itself and coat the tongue for a nice longish finish or tail. Drinks: Makes for an excellent if unorthodox martini – although I would do some research to pair it with the right vermouth to your taste. The gin and tonic was lovely, particularly with a Fever Tree Mediterranian Tonic Water. Bottle: Clear Rectangular glass about the size of a flatter brick with rounded shoulders. Actually, a rather pleasing presentation that shows the faultless color and clarity of the gin. The label is also rectangular, a kind of wrapping paper brown with rounded edges just above the glass line so it still shows the decanter style bottom. The heavier decanter type bottom adds weight, stability and a premium/lux feel to the overall package/presentation. The bottle is topped with a synthetic cork gives a satisfying bottle opening sound similar to a real bark type cork. Topped with a somewhat thin wooden cork topper with their logo laser carved on it with a clear plastic neck capsule and a pull tab that is barely adequate to get the damn neck capsule plastic off/open. Other: Rather hard to find but well worth the search! An interesting website if a bit frustrating to use. Nice pictures and graphics but there are not a lot of working links. Menu with the cocktails gives you good ideas as to the characteristics of both the spirits and their bartenders.